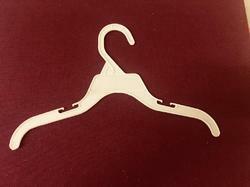 Pioneers in the industry, we offer biodegradable clothes hanger and biodegradable clothes hanger - plastic from India. 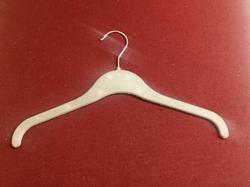 OK Bio based" hangers are eco friendly to environment and approved by VINCOTTE, partially derived from natural resources like Corn starch, sweet potatoes, sugarcane, hemp oil, soya bean oil mixed with PE , PP bears the "OK Bio based " label and complies with U.S Norm ASTM D 6866 . VINCOTTE provide the "OK Bio based" certificate as per the Biobased content upto 4 star symbol . "OK Bio based" material is 100% compostable , it can reduce the oil usage and Co2 emission. OK Bio based" Hanger are eco friendly to environment and approved by VINCOTTE, partially derived from natural resources like Corn starch, sweet potatoes, sugarcane, hemp oil, soya bean oil mixed with PE , PP bears the "OK Bio based " label and complies with U.S Norm ASTM D 6866 . VINCOTTE provide the "OK Bio based" certificate as per the Biobased content upto 4 star symbol .